Sadha Kapal Temple in Kapal is known for its intricate decorative carvings. Dating from the Majapahit period, this temple was originally an old dynastic sanctuary of the Mengwi royal family. 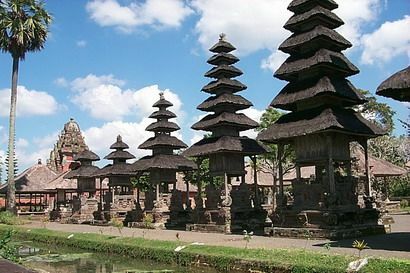 The split gate and 16-meter high tower are constructed in ancient Javanese style. Sixty-four stone seats, similar to megalithic ancestral shrines, commemorate warriors who died in battle.